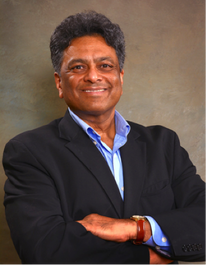 ​Naveen brings over 30 years of diverse experience within the technology spectrum encompassing Hardware, Software, Services, and vertical industries including Pharma, Manufacturing, Finance, Telecom, Government, and Retail across Canada and the U.S. He has held senior level positions with leading international companies including TIBCO Software (General Manager - Global Telecom Line of Business), Sun Microsystems, Netscape, and Nortel in the areas of technology development, sales, marketing, and corporate management. He also successfully transitioned the above-mentioned skills to the Venture Capital arena. Most recently Naveen was COO and VP of Business Development at Predictum. Naveen has degrees in Neurophysiology and Mathematics/Computer Science from the University of Toronto. ​Michael brings over 25 years of experience in modeling, data analytics, operations management, and Six Sigma, delivering advanced business intelligence applications that drive operational and profitability improvements. His areas of expertise also include statistics, Design of Experiments (DOE), Statistical Process Control (SPC), and Root Cause Analysis. During his tenure at National Semiconductor (Texas Instruments) Michael held management positions in engineering, manufacturing, and Six Sigma Training as a Master Black Belt. As VP of Data Analytics Consulting & Applications Development at Predictum, Michael architected and managed the development of solutions for Fortune 500 clients including Apple, General Electric, Goodyear, and P&G. 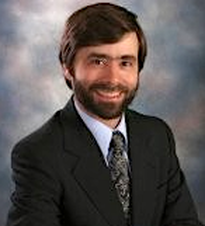 Michael holds a PhD in Electrical Engineering from Rensselaer Polytechnic Institute, focusing on solid state physics and semiconductor wafer processing. Walter brings over 40 years of extensive quantitative experience in data mining, predictive modeling, demand analysis, elasticity estimation, econometric techniques, multivariate analysis, and forecasting. As an analyst in AT&T’s Analytical Support Center, a Member of the Technical Staff at AT&T Bell Labs, head of Pricing Research at AT&T's Computer Systems division, and independent consultant, he brings deep and broad knowledge of data analytics to all client interactions. Walter has helped companies to convert data into actionable information in a wide range of industries including telecom, pharmaceuticals, and automotive. He is also currently on the faculty of the Department of Economics, Rutgers University (Adjunct) and was formerly with the Department of Mathematics & Statistics, The College of New Jersey (Adjunct). Walter is also the author of two analytical books: Market Data Analysis Using JMP and Pricing Analytics with a third forthcoming on quantitative methods for new product development. Walter has a Ph.D. in Economics from Texas A&M University.